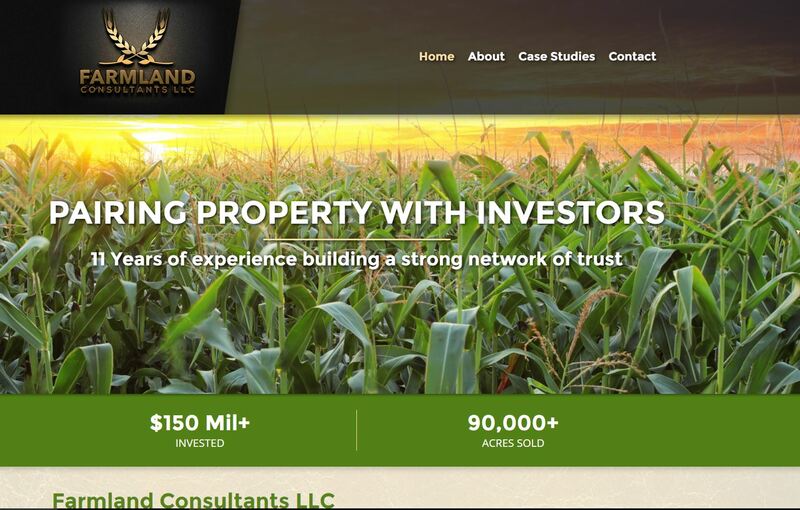 We’ve paired Farmland Consultants, LLC with the perfect new website! Farmland Consultants LLC’s primary focus is to pair investment grade agricultural opportunities with investors, both national and international, for all asset types from grain to permanent crop and the supporting facilities and assets that go with it. They take pride in truly listening to their clients’ needs, whether they’re buyers or sellers. Like us, they’re not in the business of wasting anyone’s time, which was what made it so amazing to work with them on their new website. This website very much reflects Farmland Consultants LLC’s approach to fulfilling their mission: straightforward. With large, simple page sections, the content is easy to find, read and understand. Clean, professional imagery and an earth-toned color scheme make for an engaging design, and their Case Studies page proudly utilizes these elements to display Farmland Consultants’ accomplishments in their industry. Are you looking for a website? Does your site lack professional imagery, or do you just need a site in general? Contact the team at MayeCreate Design. We believe websites work when good design meets solid functionality. Our web designs always aim for ease-of-use and clear communication. Check out our portfolio for a look at our other projects and to get your pride on…today. Katie is a Designer & Content Developer at MayeCreate Design. Her responsibilities and experience include content development for websites and online marketing, blogging, general website maintenance, graphic design, ad campaign management, project management, office management, bookkeeping, and customer service. As a wife, mom, twin, seasoned karaoke singer and amateur rock climber, she’s seen the world from many perspectives and thrives to bring an open mind and clear vision to her position here at MayeCreate. 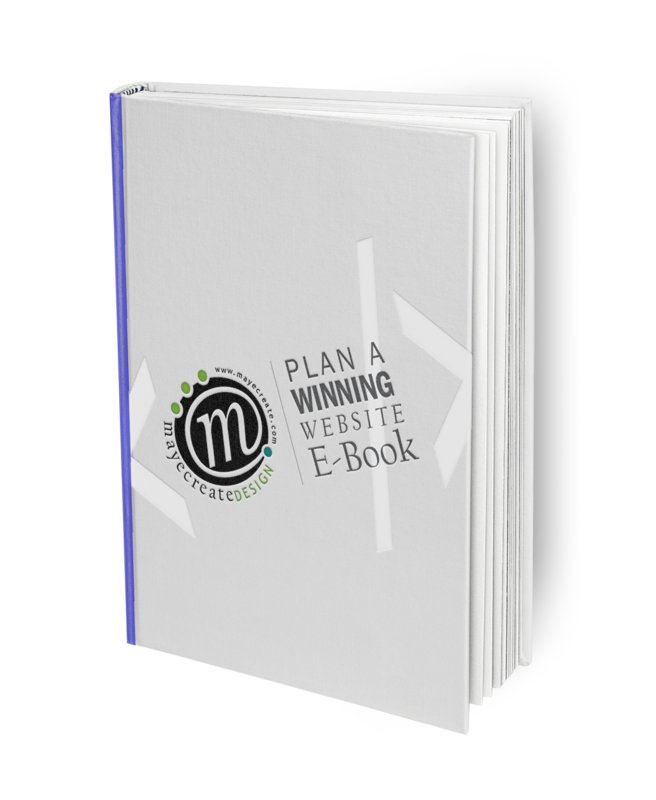 Plan your website for success. 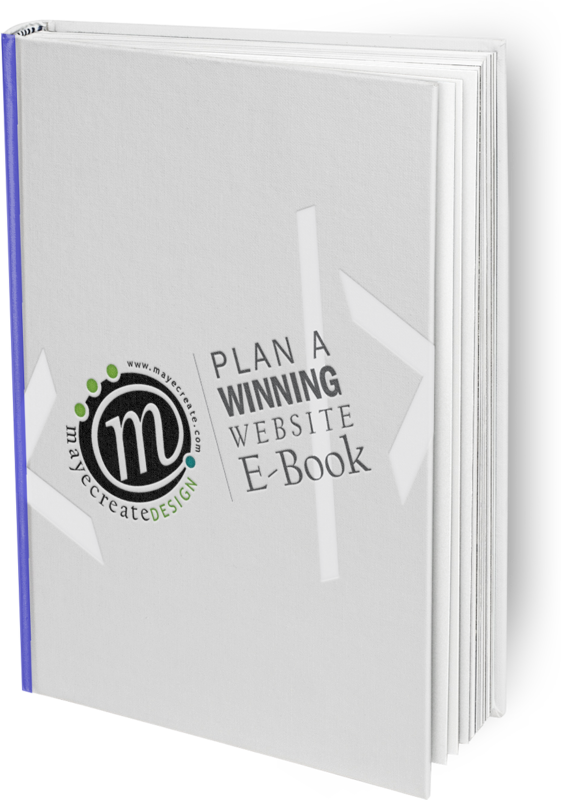 Demystify the web planning process and get organized with this free guide and workbook combo.